Second Toucan? That's just greedy! That looks much better, the Toucan fits the Hatch really well just there. Yea, it is a bit particularly at the cost of them, and just to get the symmetry back. 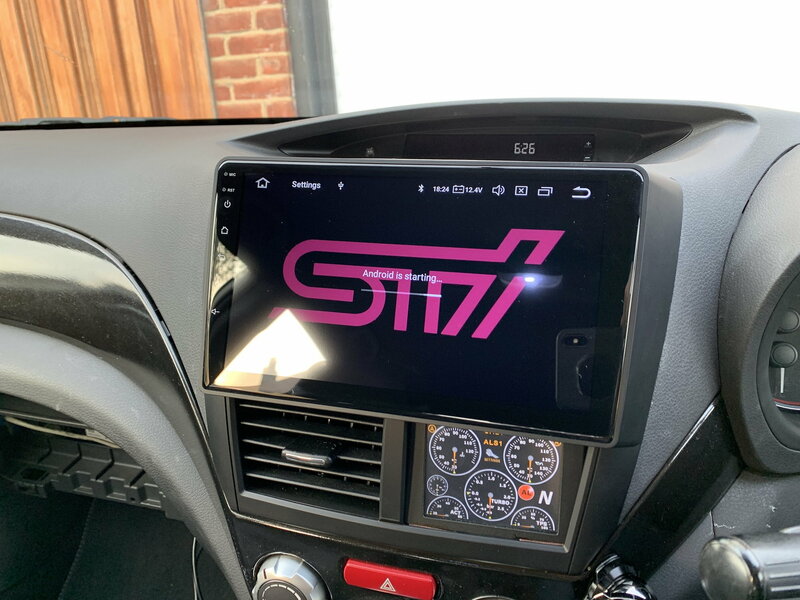 Other tweaks coming up are an aftermarket front grill to get a more aggressive look going on, and a new STI badge to replace the faded one on the rear. And shift light will be relocated to a more useful position to be determined. Last edited by matt-c; 20 March 2019 at 10:57 AM. Looks great, keep up the brilliant work. Looking forward to hopefully collecting my car back later today, then on for some paint correction I think. Been meaning to install Toucan like this for a while, finally done. Much cleaner look. Thanks, Android HU on it's way, i know the sound will be poor compared to pioneer, but should give some cool features. 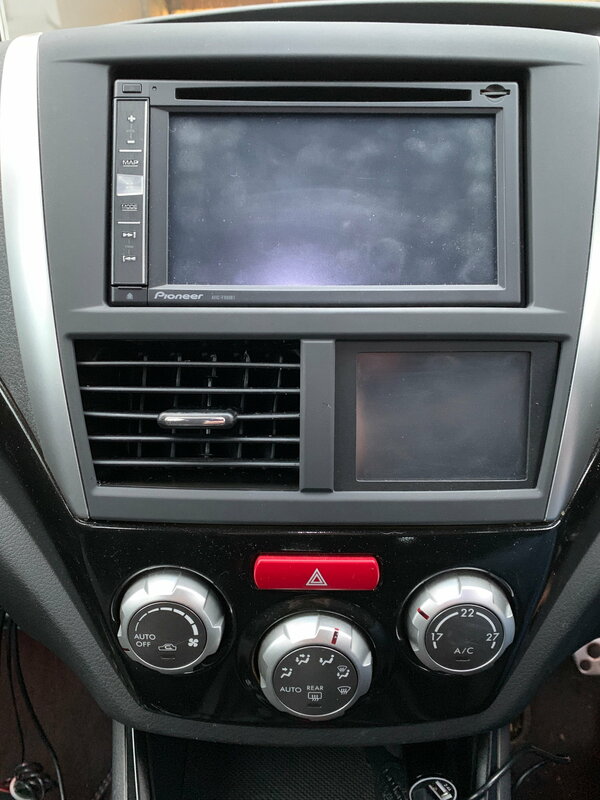 Assuming it works, Pioneer double din will be up for sale. I might be interested in the Pioneer mate as I am still currently on the original crap stereo. Cool, will drop you a PM when it's ready to go (will be a few weeks or so). Can potentially sell complete with loom adapter, steering wheel control adapter and jdm double din surround, I have the box and instructions also. Last edited by matt-c; 26 March 2019 at 01:40 PM. My car's noticeably been "crashy" since fitting a 22mm Rear ARB, wondering if I should go back to stock as you've just confirmed what I've been thinking (I was also wondering if stock drop links would soften it up a bit). Also interested in you thoughts on the 2015 steering rack, have you had more time to get a feel for it yet? (From what I've heard it fixes the "vagueness"). I think you will prefer the stock ARB, or just increase 1mm only. The drop links, some after market ones can be noisy, on the road stock is fine, although adjustable ones can be even better as you can remove the pre load from the bar. The rack, it’s taken my confidence in the car to a different level and I find myself driving it harder now. A recommended although expensive change to make. I think a return to stock with polly bushes is on the cards & maybe some experimentation between the stock & whiteline drop links. The body roll I wasn’t enjoying was massively sorted by fitting Eibach springs, however I already had the ARB & fitted it as you don’t know unless you try these things. So can now press ahead with getting the Android stereo in and hard wiring dashcam and syvecs wifi module. Android unit is in, and I'm pretty happy with it. Sound quality is not noticeably worse than the Pioneer, and that screen is amazing. Quick Reply: Fast Hatch to Mega Fast Hatch enginetuner style! !